Ideal for busking or unplugged gigs. Comes with padded gigbag, including shoulder straps and handle. 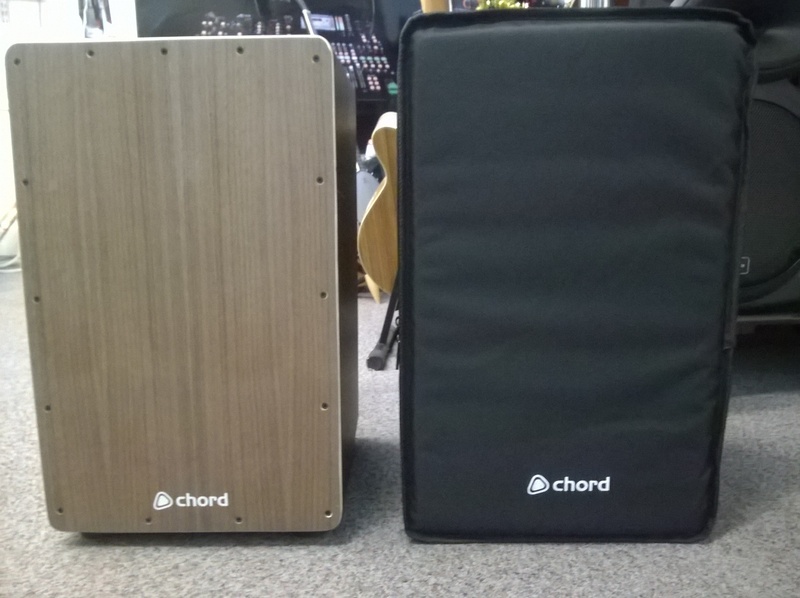 A great-sounding and very portable drum-percussion instrument, like a drum-kit in a box – useful for acoustic sessions, (can also be mic’d up for public performances – microphone not included). Use different percussive playing-styles to get the most out your bass beats and treble slaps!